Followers of the early-20th-century "New Age" philosophy of New Thought believed they could learn the secrets of mind over matter, and one of their most influential teachers-enormously popular writer and editor William Walker Atkinson, writing pseudonymously here-revealed to them, in this 1906 work, the teachings of Raja Yoga. His lessons cover: . the ego's mental tools . the expansion of the self . mental control . the cultivation of attention . the cultivation of perception . subconscious character building . and much more. 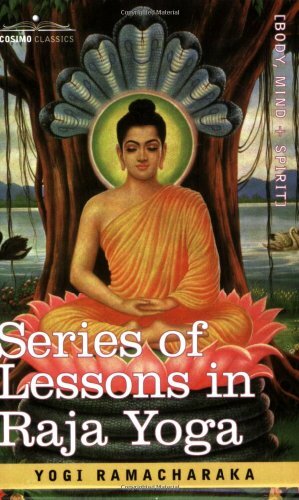 See also Series of Lessons in Gnani Yoga, also available from Cosimo. American writer WILLIAM WALKER ATKINSON (1862-1932) was editor of the popular magazine New Thought from 1901 to 1905, and editor of the journal Advanced Thought from 1916 to 1919. He authored dozens of New Thought books under numerous pseudonyms, some of which are likely still unknown today, including "Yogi Ramacharaka" and "Theron Q. Dumont."